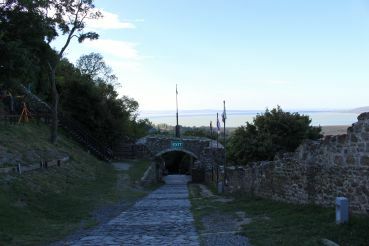 Szigliget Fortress — all information. 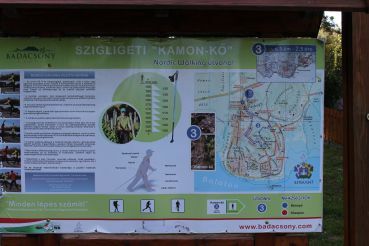 Szigliget Fortress, Szigliget: photos, description, on the map. 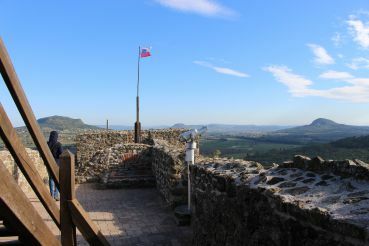 The walls of the ancient Szigliget fortress tower above azure Balaton, on an inaccessible mountain. 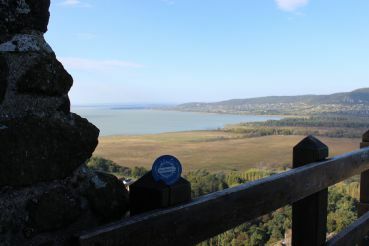 This is a popular tourist destination, for history and a magnificent panorama: an incredible view and very cool photos! The memory of the majestic fortress, which once defended this land from the conquerors is stored in a small cosy village Szigliget. The fortress is not fully preserved: you will see fragments of the walls. 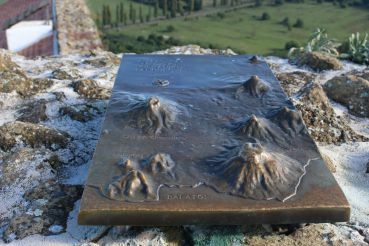 But the reconstruction works are in action and the construction is rightfully included in the top of the best attractions of Balaton. The fortress appeared in 1262. The Benedictine monks were engaged in its construction. King Béla IV donated these lands to the monastic order for the construction of a fortress in 1260. At that time, large-scale construction of fortifications was launched all over Hungary. So they tried to defend themselves from the Tatar and Mongol invaders, who did not waste time on long sieges. Over time, the monks sold the fortress to the feudal lords. The owners of the fortress changed many times. The Tatar and Mongols really never conquered this fortress. But the Turks succeeded. After the fortress passed into their possession, it began to collapse: the Turks cared little about maintaining the fortifications. 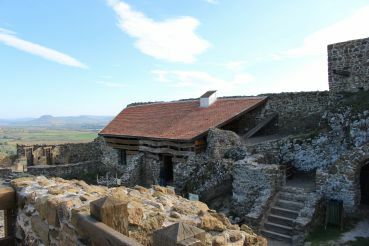 For the first time, the fortress was severely damaged in 1697. Then lightning hit the powder depot, and it severely damaged the building. But the saddest fate awaited the fortress at the time of the Austrians. After the liberation of Hungary, the Austrian house of the Habsburgs took over control. However, the Austrians were considered to be the liberators not for a very long time. Skirmishes and an armed uprising began with the Hungarians, which almost escalated into a real war. A fortress served as the stronghold of the uprising. The Austrian emperor issued an order according to which all the medieval castles and fortresses of Hungary were blown up. Szigliget fortress was no exception. In 1702, it was blown up on the orders of the Austrian emperor Leopold. The fortress that tourists can see nowadays is largely the merit of reenactors. 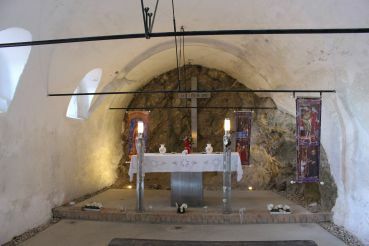 The restoration work began in 1991: it has been going on for about 30 years. 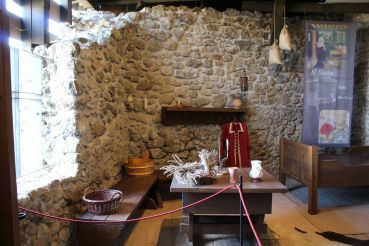 During this time, they made masonry, partially restored the walls, equipped the stairs. The observation platforms were created and tourists love them. 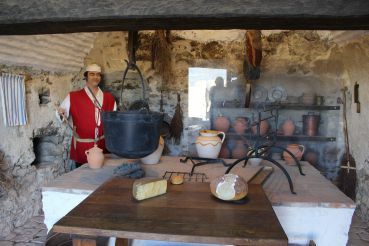 The kitchen of the Middle Ages was restored in the fortress. 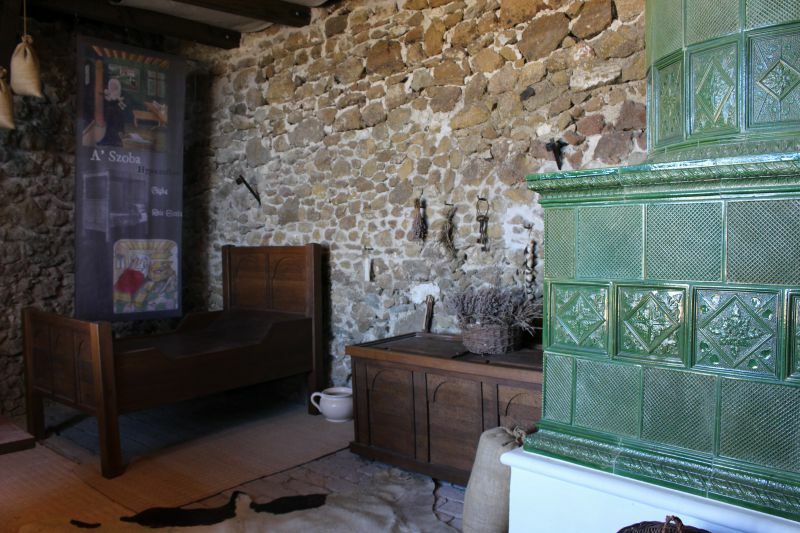 On the shelves and walls, you will find authentic utensils, plates, pots, a fireplace, a spit, a decorative stove. 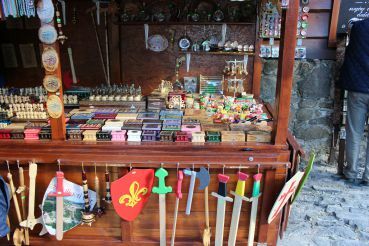 Free parking spaces and souvenir shops, which sell magnets, all kinds of souvenirs depicting the fortress, appeared near the entrance, at the foot of the fortress. 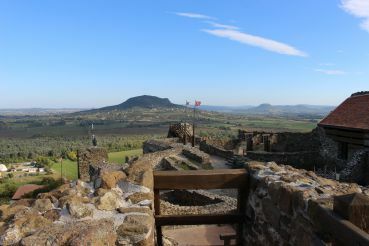 The height of the mountain is 242 m.
The fortress was built in 1262. It was blown up in 1702 by order of the Austrian emperor Leopold. The powder depot of the fortress was hit by lightning. In 1697, the building was badly damaged. 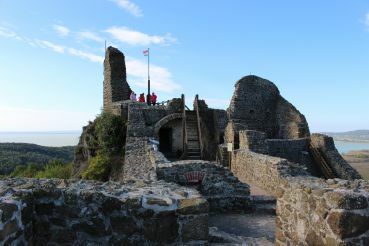 To climb to the top of the fortress, you will have to overcome more than a dozen stone steps. Vivid performances often take place in the fortress. 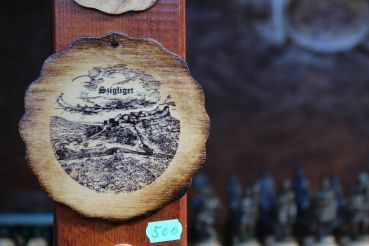 This is a place for medieval festivals that are organized every summer: sword fights, bow shooting, throwing spears and axes. Wooden benches for the spectators are located on different tiers. There are many real guns in the fortress. Exhibitions of medieval weapons and armour are often held in the high season. Nearby there is a medieval-style playground. Locals kindly offer Hungarian wines near the fortress. Active events begin with the start of the warm season. In summer, classical music concerts and theatrical performances take place in the fortress. The events end in late August. In the fortress, you will find an exciting exhibition of weapons – one of the largest collections of this kind in Hungary. 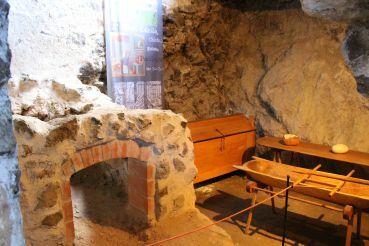 Exhibits range from prehistoric times to the present. 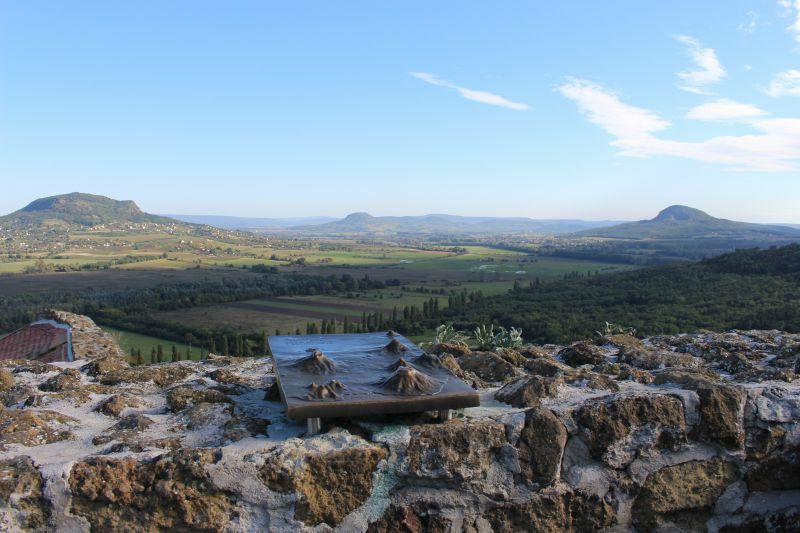 An incredible panorama of the Volcano Valley opens from the Szigliget fortress. 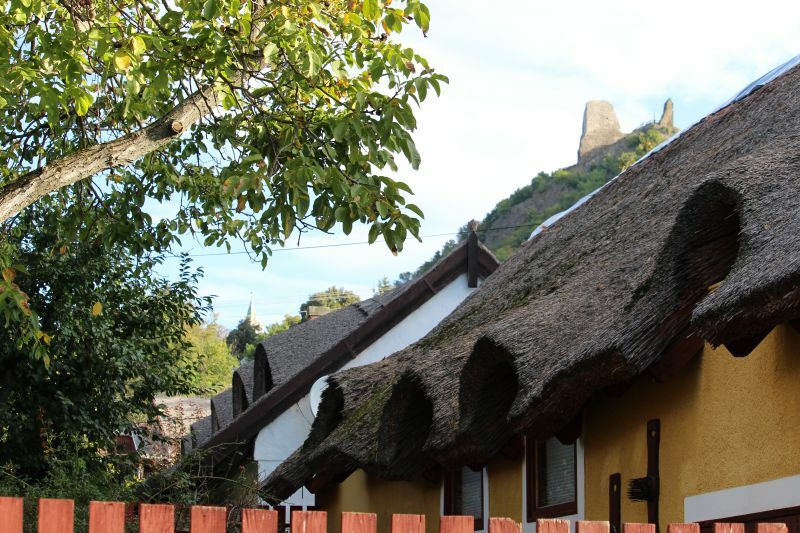 If you like cosy rural streets with houses with thatched roofs, walk along the streets adjacent to the Szigliget fortress. Ideal variant: rent a bike at Balaton. Just look at the beauty around! The top of the fortress can be seen behind the houses. From Budapest, take the M7 highway, then the 77 highway. In the city of Tapolca, take the 71 highway. The journey takes just over 2 hours. 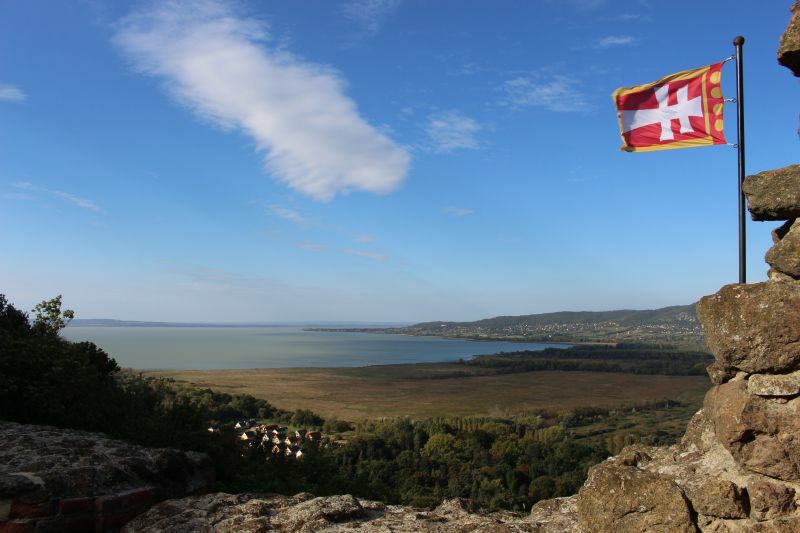 From the towns and cities of Balaton. The nearest cities are Keszthely and Tapolca. The journey takes about 20-30 minutes. From Balatonfüred the road takes about an hour. 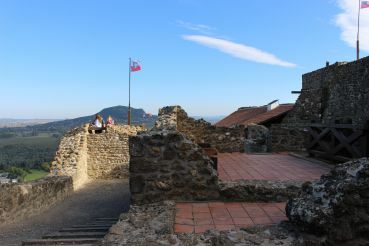 The route 71 lies near the fortress, and you should follow it. 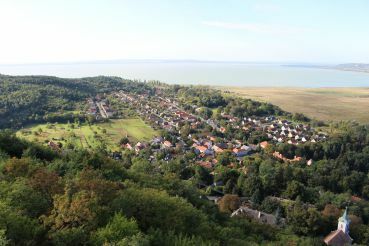 From Balatonfüred you can reach the fortress by bus in about an hour and a half. To do this, you should take the bus № 1725 at the Balatonfüred, Arany Csillag stop. The journey takes about an hour. After that get off at Szigliget, bejárati út. From Tapolca. Take the bus № 7710 at the bus station, get to Szigliget, bejárati út. The journey takes about half an hour. From Keszthely. Take the bus № 1630, the journey takes about 40 minutes. Get ready, you will have to sweat a little to get to the fortress itself. Because the car will have to be left at the foot. And if you go by public transport, you need to go a little bit from the stop. But the panoramic views are worth it! From November to March: from 10:00 to 16:00. March: from 9:00 to 17:00. April: from 9:00 to 18:00. May, June: from 9:00 to 19:00. July, August: from 8:00 to 20:00. September: from 9:00 to 20:00. October: from 9:00 to 17:00. The demonstration of battles takes place daily in May-June at 11:00, and in July-August at 10:00. Adult ticket – 800 forints. 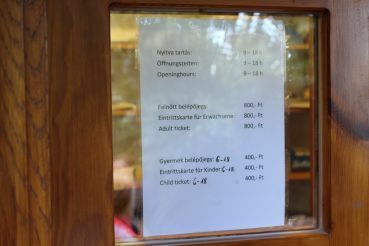 Children's ticket – 400 forints. 150 forints – children (under 18). For children under 6 – admission is free. At the ticket office, you can only pay in cash.